Some books seem like they have been pulled right out of the headlines of the newspaper. This book is one of those books. I teach a lot of kids who come from Mexico. Never in all my years of teaching and talking with these students have I felt like I was there. Stuart's descriptions put the reader in Los Cabos. I believe I would really enjoy visiting. There were many twists and turns in this book. I think the reason I liked this book so much is because I love mysteries. I'm not good at solving them, yet I love trying. I felt so sorry for Sarah's parents when they discovered their daughter was missing. I remember the panic I felt when my son had been across the street shooting baskets, and I suddenly no longer heard his basketball. I called the neighbor, and the police, and was absolutely hysterical. Ten minutes later he walked in and told me he'd been across the street helping our 89 year old neighbor who had asked for his assistance. He'd never thought of coming to tell me first because he was 17 years old. I am sure many people will make connections similar to mine either from their own experiences or from the news. Want to know what happened to Sarah and what Stan Walkorski, the PI her parents hired, found when he went to Los Cabos? Read this book. One other thing I want to point out that I really enjoyed was the spanish throughout the book. I took great pleasure in refreshing my spanish. Not only did I have the privilege of reading this book for review, but I had the honor of interviewing Stuart Gustafson. He was more than willing to answer my questions. I don’t recall ever making a conscious decision to “become a writer.” I’d done some writing in high school as part of a Creative Writing Class, a Journalism Club, and the Annual Staff. But then life took hold and other activities were a higher priority. My first book Parables for Life in the 21st Century was a 20-year project and compilation of sayings and stories that I’d written down and had just remembered over the years. I then co-authored a series of non-fiction books whose genesis was realizing that there was a lot of information that I didn’t know about my Dad who’d been killed by a drunk driver (along with my grandpa) when I was sixteen. When I took early retirement from the corporate world and now was able to travel for fun, and not just for business, I saw that I could combine the joy of travel with writing. The thought was that I could share my experiences with others while telling them about places that I loved to go. I thought about the types of writing I could do that involved travel, and after going through the various genres, settled in on mystery writing. 2. What made you pick the genre of mystery? Writing a fictional mystery book gives the author a sense of freedom to stretch the truth a little bit. If you’re writing a travel guide, you’d better be spot on with locations, descriptions, menu selections, reviews, etc. Even when you are, you’ll still upset a few readers who don’t like your choices. But when your story is fictional, not everything has to be real. Mystery also gives the author the ability to pull the reader along from one chapter to another, needing to find out what’s going to happen next. What’s a little different in my debut mystery novel Missing in Mexico is that most of the descriptions of the San José del Cabo area are real because it’s an area I go to every year. I wanted the readers to feel as if they ARE in the town with the PI as he’s looking for Sarah. As Jess Todtfeld, a former producer for ABC, NBC, and FOX said, “The story’s so real I felt like I was right there!” That was the point. 3. I've read your next book is set in Australia, is it also a mystery? Yes, it is a mystery, set in Sydney, Australia. I’d been to Australia a few times many years ago while I was still working, but then I went back to Sydney five times last year to conduct on-site research for the book. One of the main things that I like to ensure in my books is the authenticity of the descriptions of the areas as I describe them. The books are still fictional stories and so some of the places will be purely made up, existing only in my imagination, and also hopefully in the readers’. But the ones that actually do exist, such as the Sydney Harbour Bridge, the Royal Botanic Gardens, the downtown Central Business District (CBD), etc., those are the ones that I want to describe with complete accuracy. Why is authenticity and accuracy important in a fictional story? I remember as I read Dan Brown’s DaVinci Code for the first time. Having recently been to Paris several times, the areas described in the book were quite fresh and real to me. I was drawn into the book, and I became a character in the book. I’m not trying to duplicate Dan Brown by any means, but I want my readers who’ve been to Sydney, who know Sydney, who live in Sydney – I want them to be comfortable and to be pulled into the book by its realness. So back to your question – yes, it’s a mystery that just happens to be set in one of the world’s most exciting cities – Sydney, New South Wales, Australia. 4. What does your writing day look like? I don’t write every day because I have other projects that always seem to be popping up, plus my 94-year old mother lives about a mile away. The way I write a novel is to develop the overall synopsis, and then break that down to a one- to three-sentence summary of each chapter. Then when I’m ready to write I start by reading everything that I’ve written so far (completed chapters), followed by each chapter summary, and then I begin writing the next chapter. All I know at that point is the summary for the chapter; how it will actually play out has been a surprise at times. Plus, some chapters end up being short, about six hundred words, while others are three thousand words. To me, the chapter is not over until the thought process has run its course. My only requirement is that I complete a chapter once I begin it. 5. You have obviously done lots of research. Which do you enjoy the most, the research or the writing? I won’t pick favorites; they’re different in their own ways. Because I do love to travel so much, the research part naturally has a real attraction for me. I tell people that I’m happy to just get on a plane and fly anywhere. Writing has its own set of challenges, but I don’t mean that in a negative way. Yes, it does take longer to write the book than to research it, but the interesting part is actually not knowing “how” the book is going to turn out before I’ve written it. Sure, I know the basic plot lines, etc., but the way things unfold don’t come about until I’m actually writing each chapter, and I don’t know how those are going to come out until I sit at the computer and write them. 6. Do you think you will ever write another novel where Stan is once again called in to solve a mystery? I would like to, and I have a story in mind if I can find the time to write it. The great thing about the book is that it brings in more than just Stan; it also brings in two females from the book and it’s set completely in Baja California. I already have the story line written out, and so it’s just a matter of finding the time to write it (that’s all; just find the time!). 7. What advice would you give a writer that wanted to write mystery? Think what story line you want to tell, and then how can you tell that story in such a manner that will keep the readers wanting to turn page after page after page. You can have a mystery idea, but if you can’t tell it in a story that keeps your readers guessing, they’ll drop the book about a third of the way into it. Once you have an idea of what type of a story you’d like to tell, find a book that’s similar to your idea, and read that book. Are you still interested in that idea? Did you learn something from that author? Can you tell your story in a slightly different way that will keep your readers interested? 8. Where did the idea for this story come from? There have been so many students disappear while on Spring Break or vacation. Did that influence you? 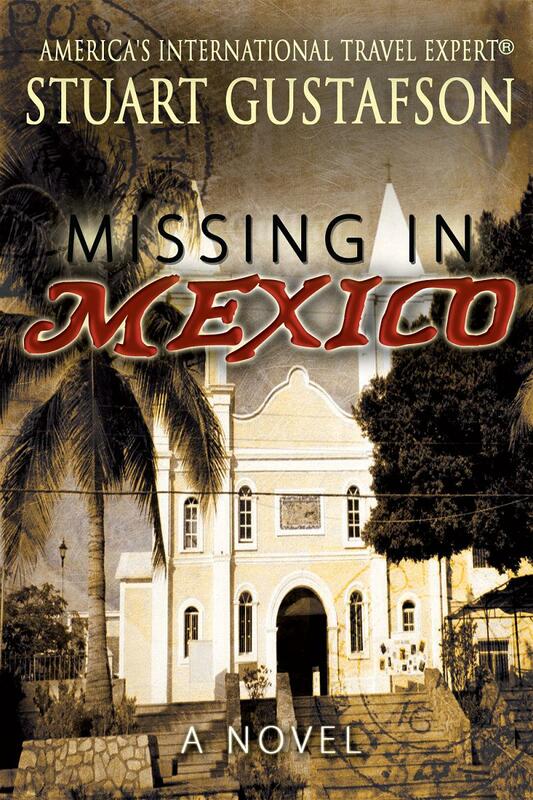 That had no influence on the title or the story line for Missing in Mexico; after all, it’s just a fictional mystery. I began writing the book in 2007 during one of my 4-week stays in San José del Cabo, after having been there for many years and knowing that I wanted to write a book that incorporated the charm and the culture of that marvelous area. The book had to be a mystery, and I knew that as a parent myself, the worst fear was your child being missing in another country. Even as a seasoned traveler, I know I would feel quite helpless if that happened to me. That’s how the story line came to be. The interesting thing is that the Los Cabos region is the safest place in Mexico for vacationers. This is due mainly to its geographic location, but also due to the watchful eye of the local law enforcement. The area depends on tourism, and so they are not about to let anything disrupt their image as a great place to visit. That’s one of the reasons I’ve been going there for the last nine years. 9. Who was your favorite character to write and why? I didn’t really set out with a favorite character, but I think it has to be Stan. He’s the one who persevered when all the leads were drying up. He wouldn’t take “No” for an answer. He also had times when there was absolutely nothing he could do; such can be the life of an investigator. Perhaps another reason is that my wife tells me how much Stan is just like me. Really? 10. What is something your readers would be shocked or amazed to learn about you? Sarah Johnson is a 19-year college freshman who, along with her roommate Mary, spent an extra week in Los Cabos, Mexico after a family vacation over the Christmas break. Unexpectedly, Sarah's not on the plane back to Seattle, and her parents hire Stan, a seasoned Private Investigator, to locate her. Even with local help and some promising leads in the town of San Jose del Cabo, he's unable to find her, and he returns to Seattle to inform the parents. Months later he receives a mysterious letter from someone who says she can help him locate Sarah, and he jumps on the next plane to Los Cabos. Will this be the lucky break he needs to find her? Or will she remain missing -- Missing in Mexico? “Hey, wait. Sarah’s not here; we can’t leave without her,” the girl in seat 14A yelled in a frightened voice. Mary reached up and pushed the flight attendant call button even as the flight attendant was already headed toward her seat. “We can’t leave yet; Sarah’s still down there,” Mary continued, now reaching the point of hysteria. “Please calm down, miss. Everyone’s already onboard. You can look for yourself,” the flight attendant said in a calm voice as she pointed to the window. “What do you mean everyone’s onboard? Sarah’s not here; she should be sitting right here!” Mary pulled her tearing eyes away from the empty seat and looked out and saw that the boarding ramps had been pulled away from the airplane, but what she didn’t see scared her. How come Sarah’s not out there, running in a panic toward the plane? “Where’s Sarah? She was just there with me. Where is she? Don’t leave; Sarah’s missing!” Mary cried out as tears began flowing down her cheeks. The annoyed passengers felt a jolt as the plane was being pushed back. They were ready for their flight home from Los Cabos. But Sarah wasn’t on board; she’s missing – Missing in Mexico. familia (fă·mĭl’·ē·ă) – family. Hay cuatro personas en mi familia. There are four persons in my family. 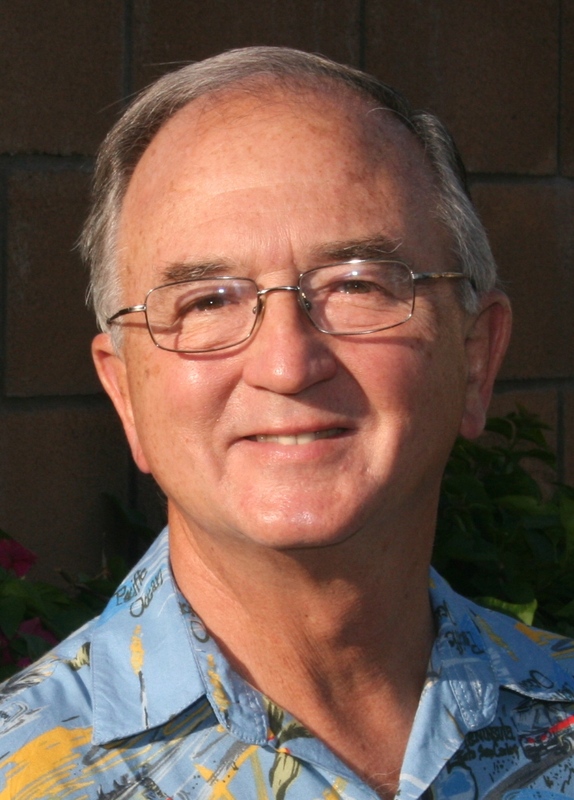 Stuart Gustafson began writing in earnest after taking early retirement from the corporate world in 2007. His professional life involved travel and so it was natural for him to want to continue traveling once he didn't have to travel as a job. Now when he travels, it's for fun; it's for pleasure; it's to see new places in the world. The way he has chosen to combine his love of travel and writing is to write mystery novels set in exciting locations around the world where he likes to go. 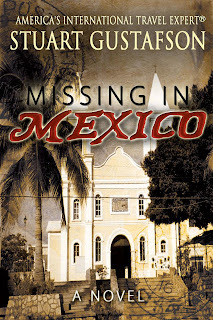 His debut mystery novel Missing in Mexico is set in San Jose del Cabo at the tip of Mexico's Baja California peninsula, a charming location where he has spent 2-6 weeks each year for the past eight years. This is how Stuart researches his books, by immersing himself into the culture of the area, and getting to know the people and their charm. The best compliment Stuart has received was at a local event in San Jose del Cabo and some of the residents told him that Missing in Mexico was indeed about their town and would he please consider writing another book about San Jose or at least about Cabo. His second mystery novel, set in Sydney, NSW, Australia, is already underway, and Stuart took five trips to Sydney in 2010 to conduct research of the area to once again ensure that the book, even though it's a fictional mystery novel, would still contain authentic details. Publication date for that book is set for early 2012. Stuart has been married for thirty-seven years to Darlene and they have one daughter and one son. Stuart and Darlene live in Boise, Idaho. FTC Rules require me to let you know that I occasionally receive free books from authors or pulishers in exchange for my honest review of their book. I make a point to always give an honest review. I try to find something positive in every book since I know that eventhough I may not enjoy a certain book there are others out there who will . The fact that some of the books I receive are free in no way affects my opinion.